After almost 10,000 votes and a week of voting, we have our first non-human winner of the Offaly Sports Star of the Month award for August. 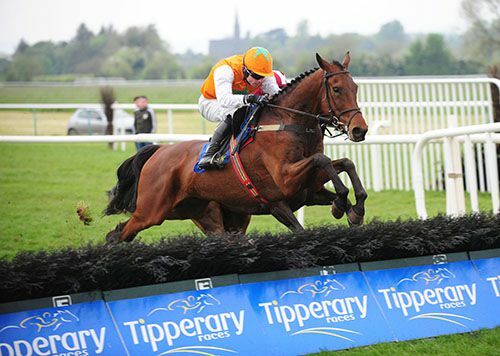 The Offaly owned and bred racehorse Snugsborough Benny has won the day, galloping clear from the beginning and amassing a total of 37% of the votes. Roisin Ennis was the closest to catching Snugsborough Benny with 26% while Cillian Kiley was third on 12%. Owned and bred by Ray Loughnane in Shinrone, Snugsborough Benny won the Guinness Galway Blazers Handicap Chase at the recent Galway Races Festival, seeing off A Rated and Mine Now by over a length, and the rest of the field by over 17 lengths. Ray and Snugsborough Benny will now receive a specially commissioned glass trophy from sponsors Guy Clothing and will go forward as our August winner for the ultimate Offaly Sports Star of the Year 2018 vote which will launch in early 2019.